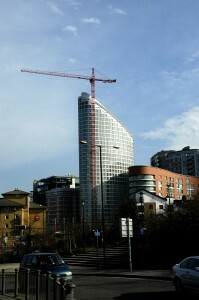 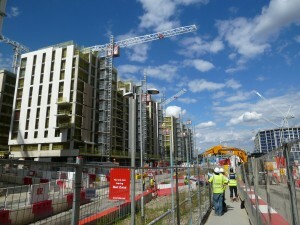 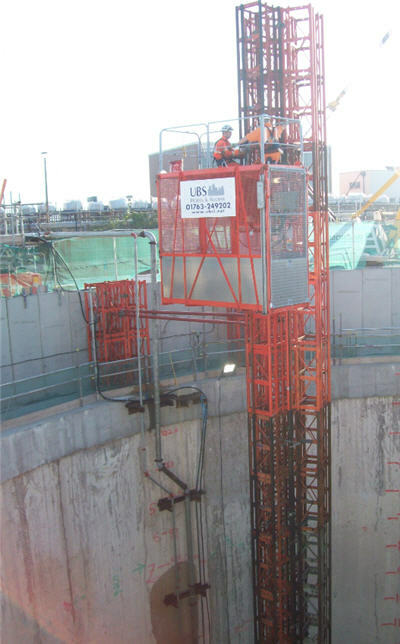 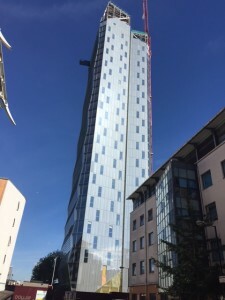 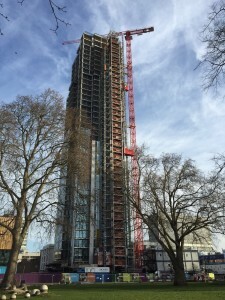 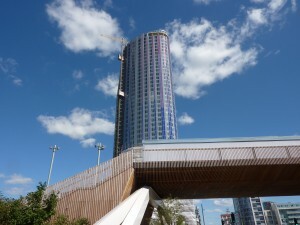 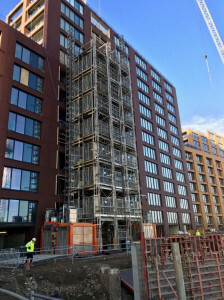 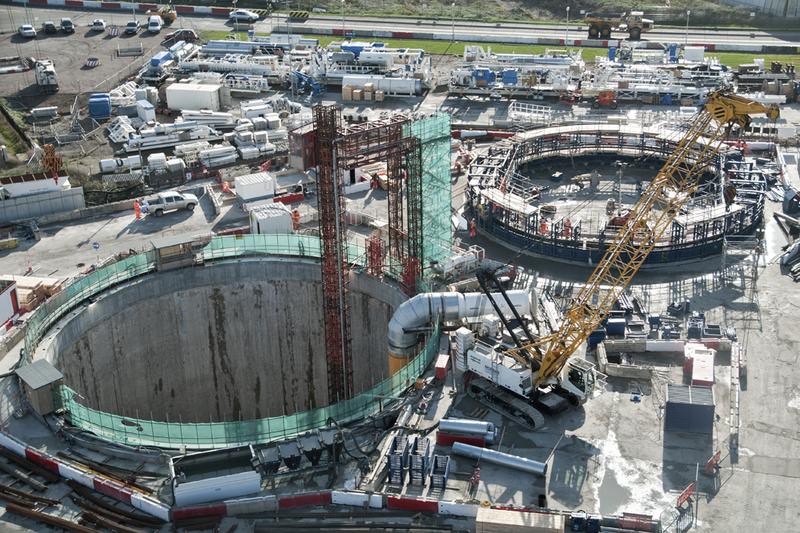 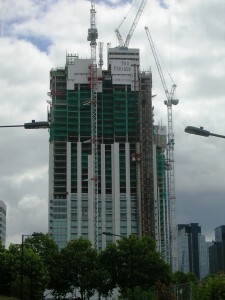 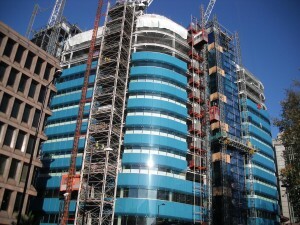 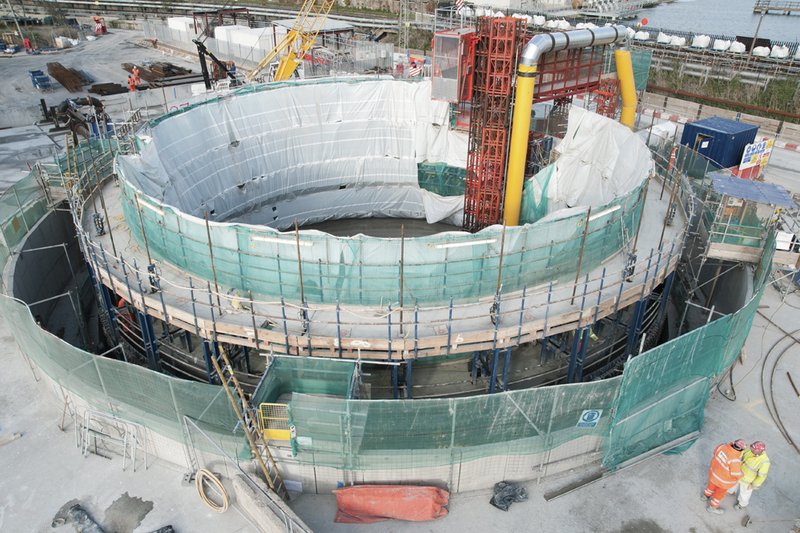 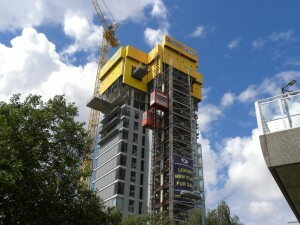 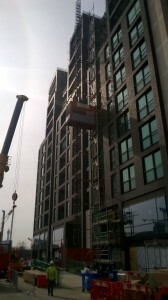 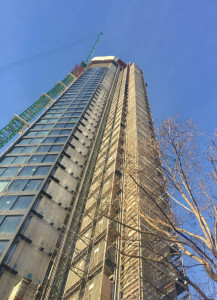 Universal Builders Supply are continuing their innovative approach to supply access systems on some of the tallest buildings throughout the UK, and are now working deep underground on the Lee Tunnel Project at Beckton and Stratford. 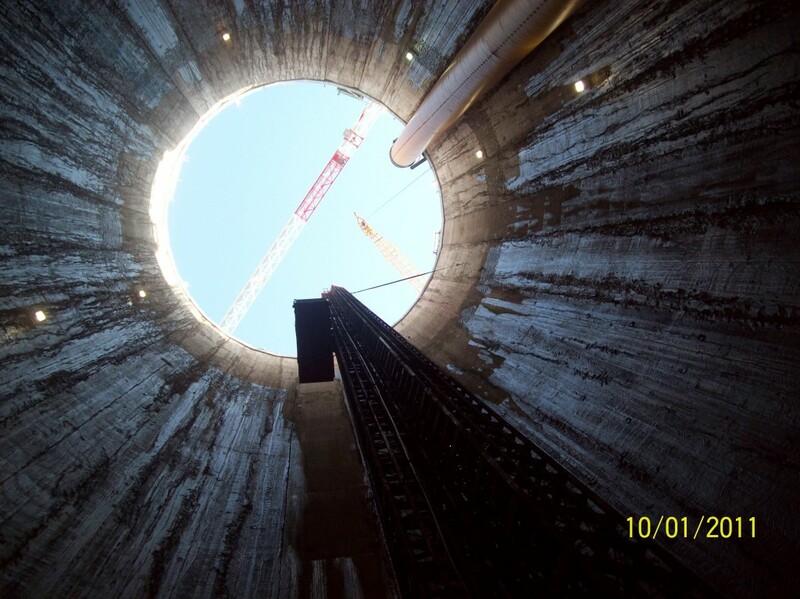 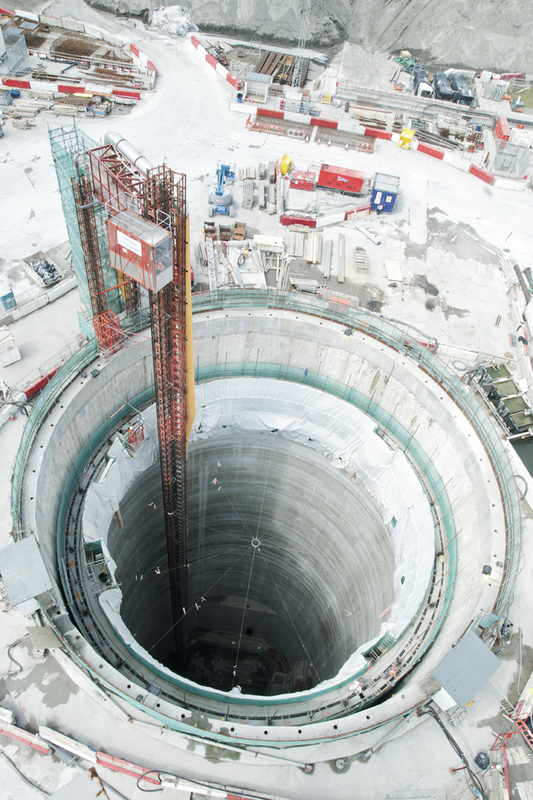 Working for the joint venture project, UBS have helped design and implement a hoisting scheme for the multiple shaft being constructed, working with the constraints of the sites scheme to slipform the internal walls of shafts starting up to 80m below ground. 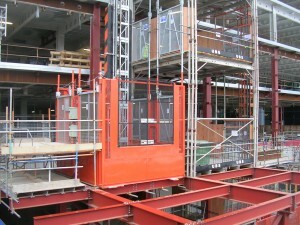 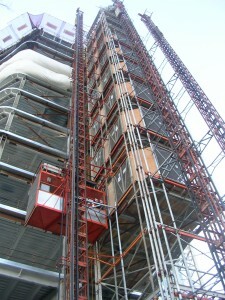 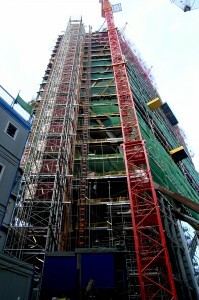 UBS were able to come up with an adaptation of a scheme used to install hoists on tall structures with very large tie distances. 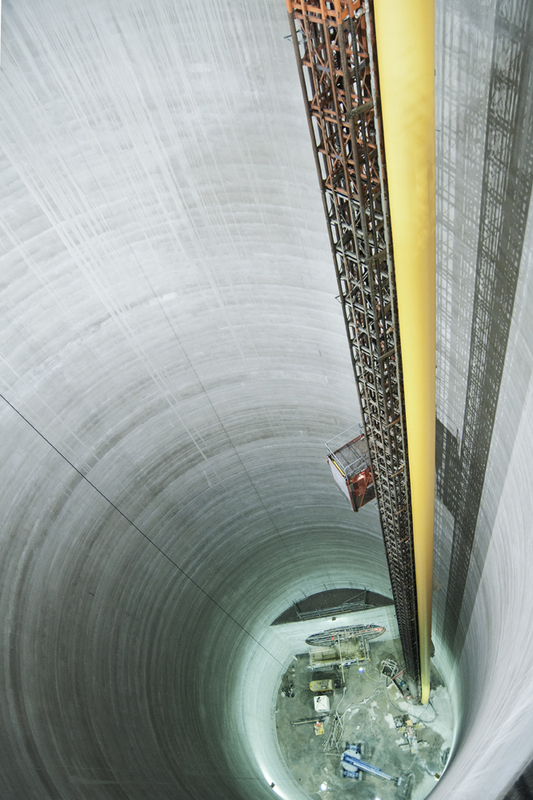 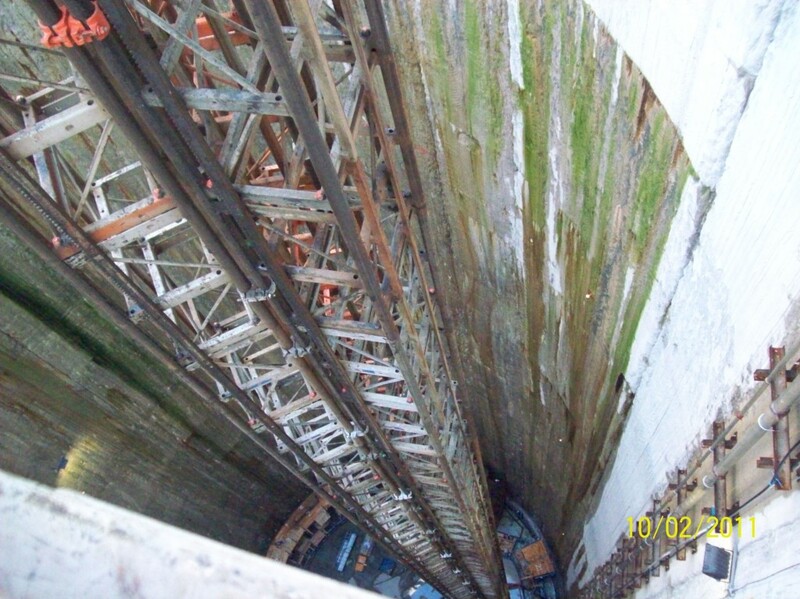 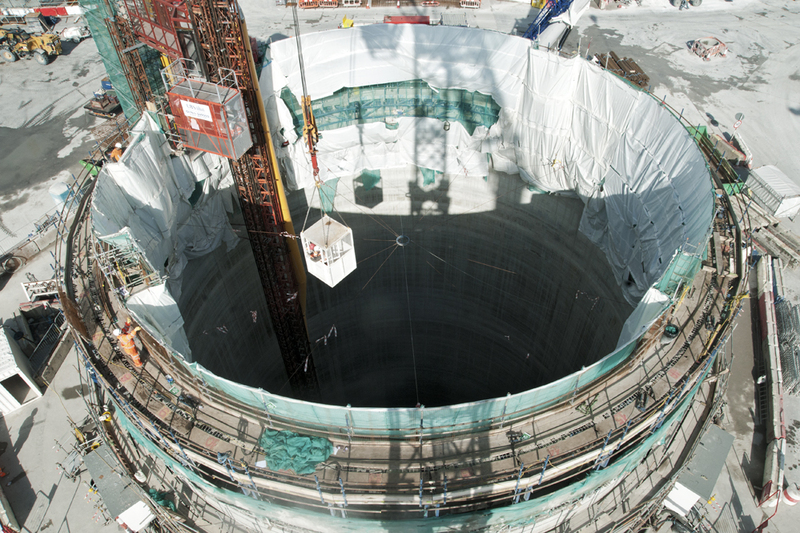 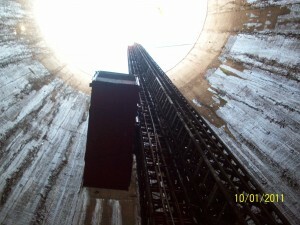 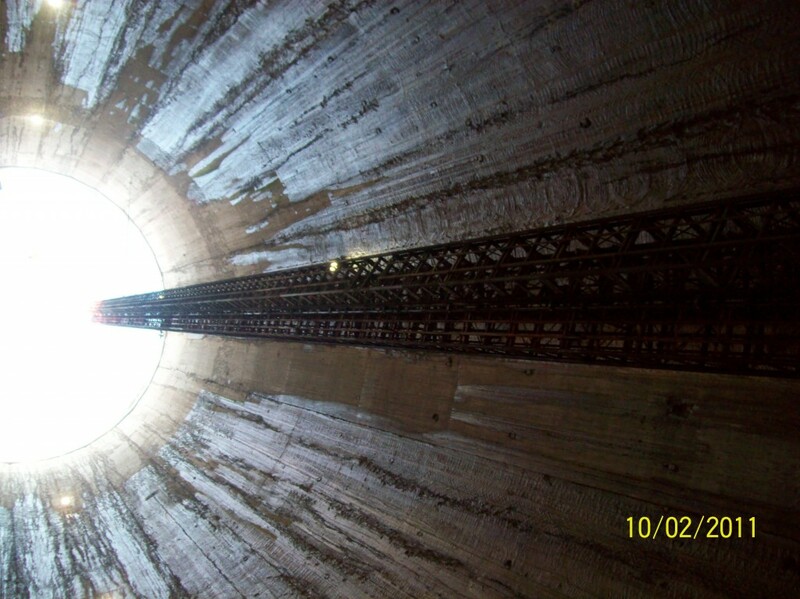 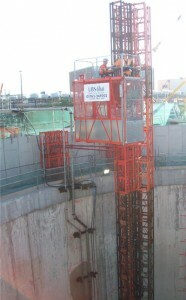 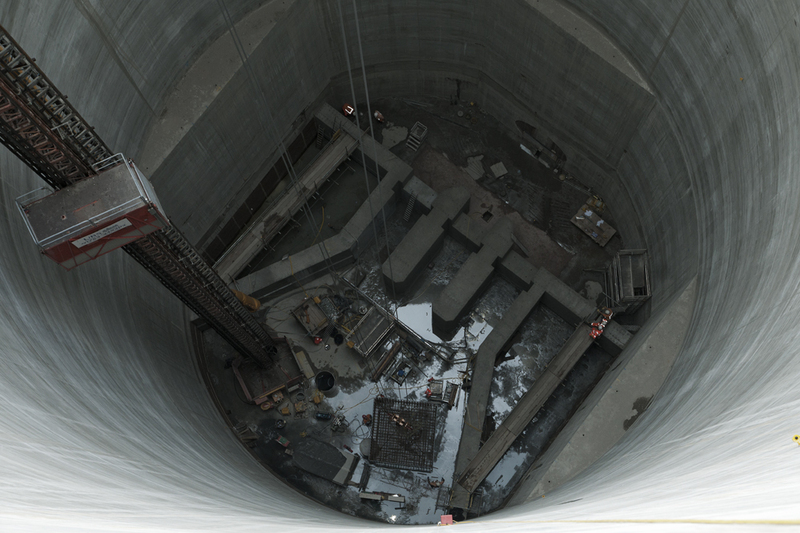 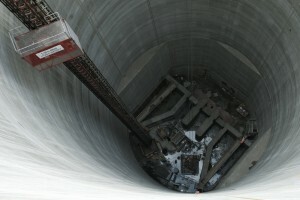 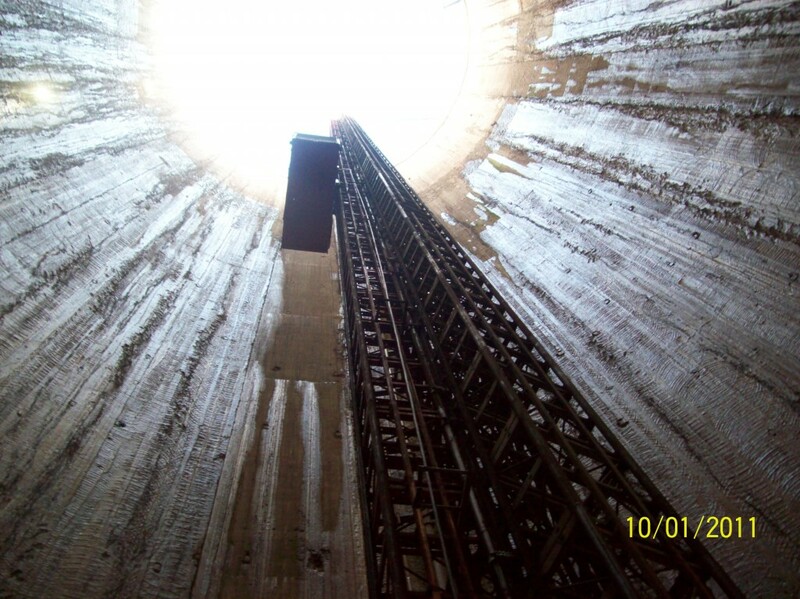 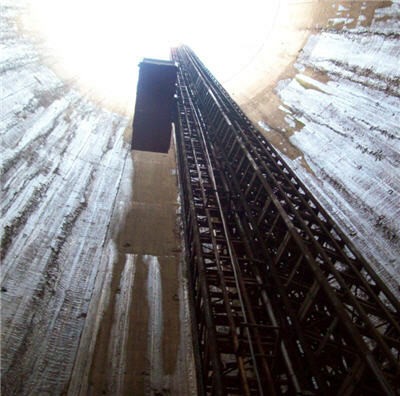 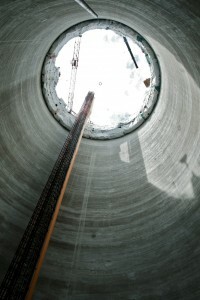 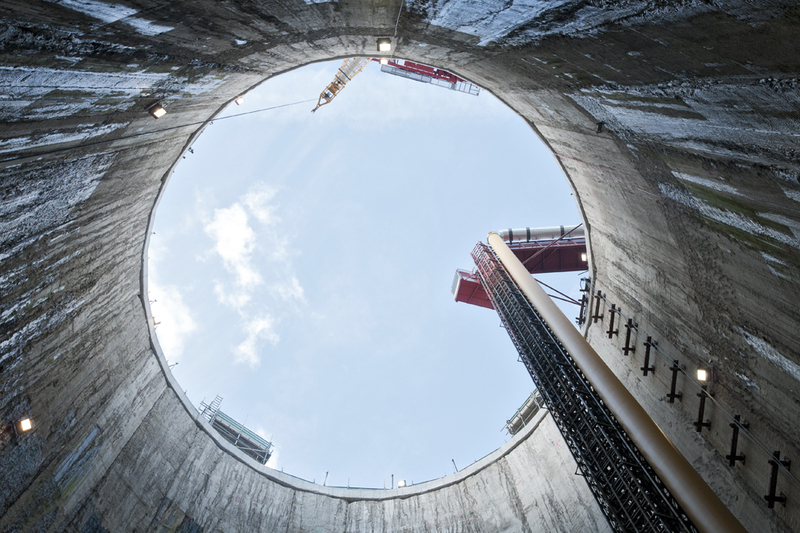 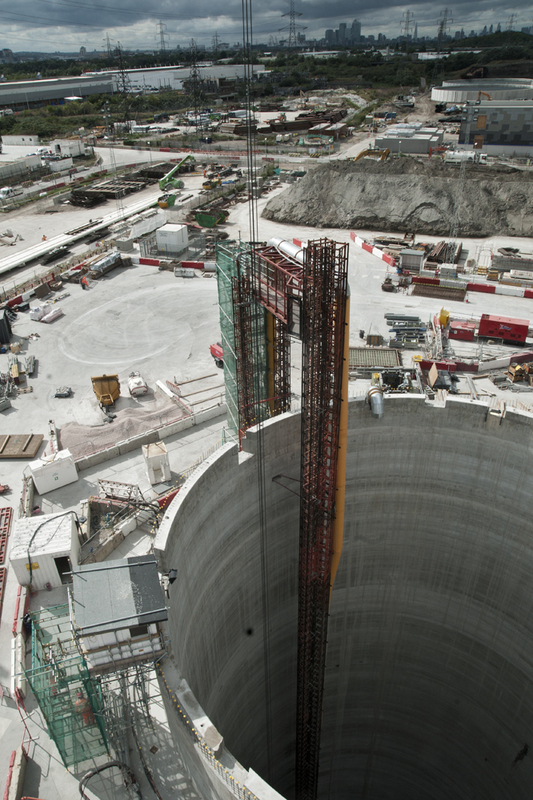 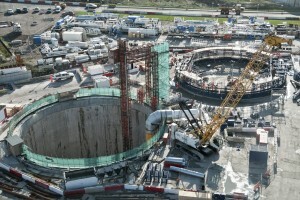 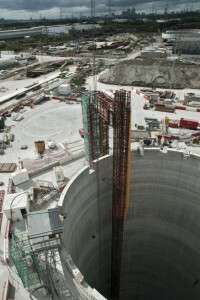 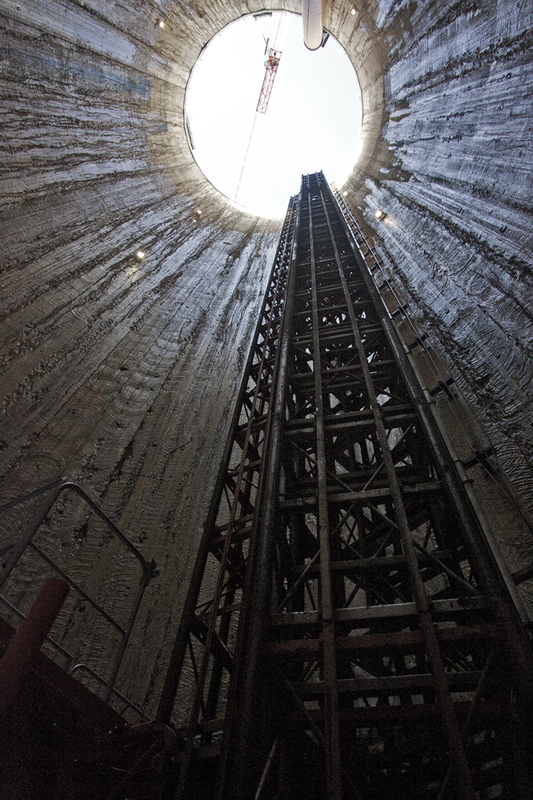 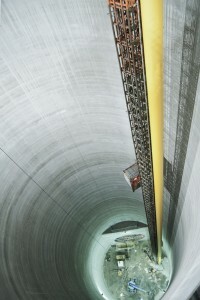 The scheme for the Lee Tunnel Project has required the installation of hoists from the base of the shaft, but without a tie to the shaft until ground level, up to 80m above the base of the shaft. 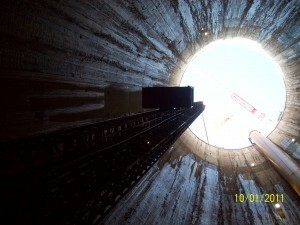 This was so the slipfom rig within the shaft could travel unimpeded by any ties from the hoist to the outside of the rough shaft. 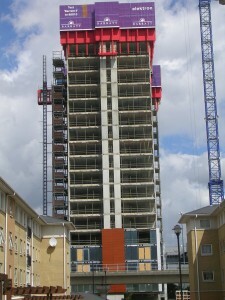 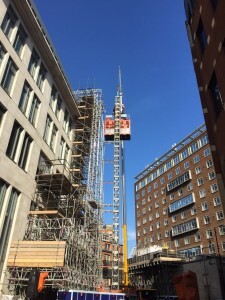 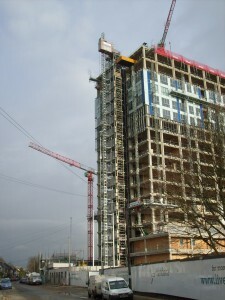 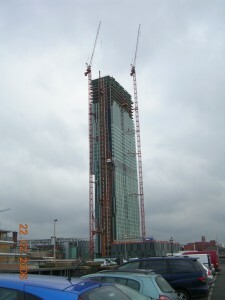 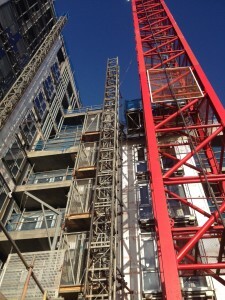 The UBS scheme utilised the ‘tri mast’ system where 3 hoist mast are erected as a single mast structure to allow the required tie distance of 80m, 4 times the normal tie spacing for a hoist. 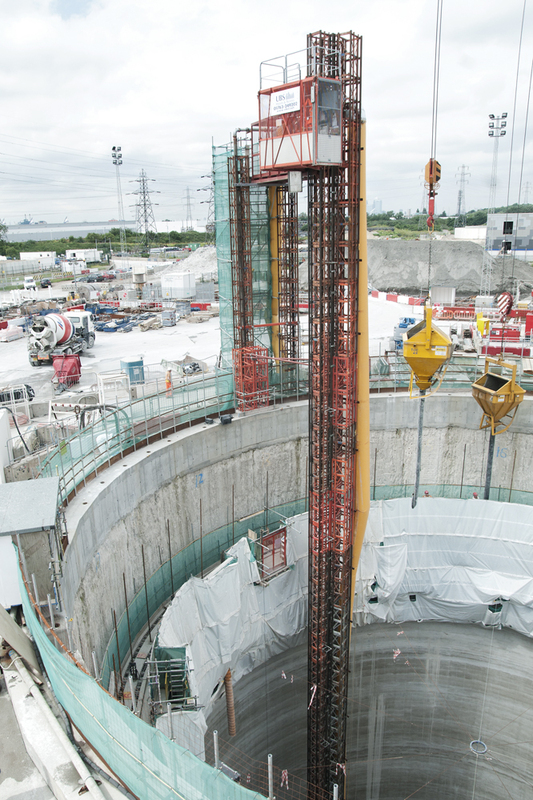 The ‘tri mast’ hoist system has offered the site access to the base of the shaft and access to the moving slipform rig deck, with minimal changes being made to the design of the shaft base to accommodate the base fixing required for a hoist of this height. The ‘tri mast’ hoist system has been used in two shafts to date, with a further two shafts to be completed later this year. 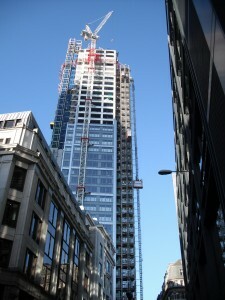 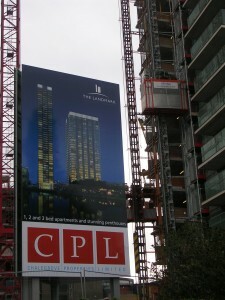 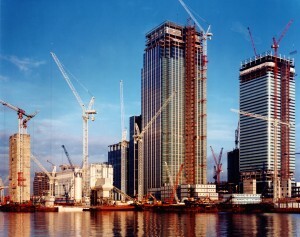 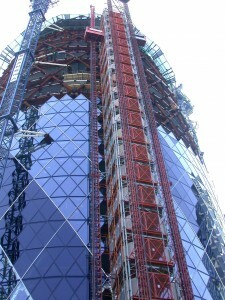 UBS have supplied construction hoists for many iconic projects including the Swiss RE tower (the “Gherkin”) and Canary Wharf.